Dr Chia-Chieh Hsiao, and Dr Wei-Li Chen, atNational Taiwan University Hospital, Taipei, Taiwan have reported a rare case of Traumatic Iridodialysis. The case has appeared in the New England Journal of Medicine. It can lead to blurred vision, monocular double vision, or photophobia. In the long term there may be chronic pressure elevation due to obstruction of the aqueous outflow system from scarring of the torn ciliary body or from peripheral anterior synechiae, Optic disc cupping and last but not the least Visual field loss. According to history, a 48-year-old man presented to the ophthalmology clinic with a 1-week history of pain, double vision, and blurred vision in his left eye. He told doctors that the mishap occurred when he attempted to secure goods to a motorcycle using a bungee cord, and the cord snapped back and hit him in the eye. His symptoms immediately started after he was struck in the eye by a retracting rubber bungee cord that he was using to secure goods onto a motorcycle. 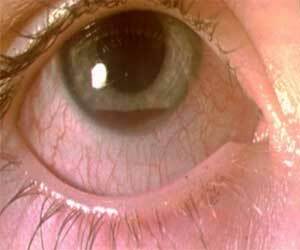 Physical examination revealed bruising of the left eyelid and a distorted pupil. The corrected visual acuity with eyeglasses was 20/40 in the right eye and 20/200 in the left eye. Slit-lamp examination of the left eye revealed a deformed iris with the upper portion sagging downward, detached from the 9 o’clock position to the 3 o’clock position. No evidence of lens dislocation, traumatic cataract, or retinal injury was noted. The patient underwent iridoplasty and had restoration of pupil shape and improvement in visual acuity. 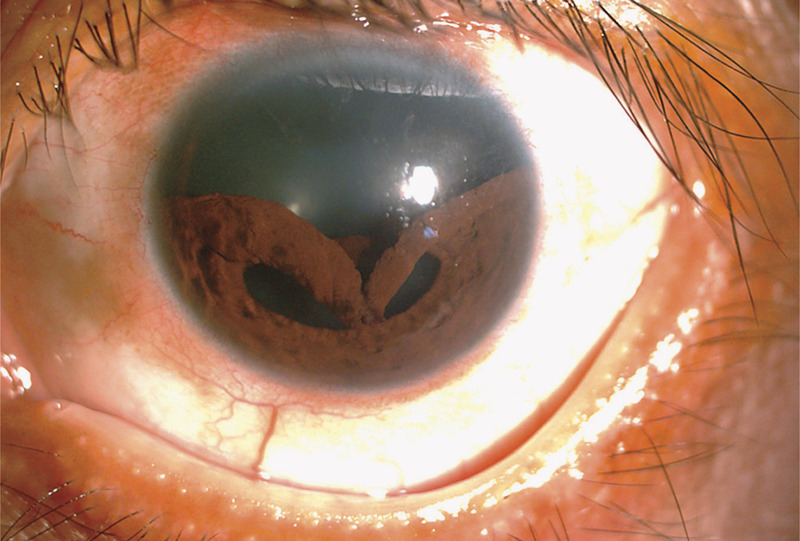 One year later, the patient’s corrected visual acuity with eyeglasses was 20/50 in the left eye and the iris remained attached with mild deformity and without evidence of glaucoma. The management includes Topical anti-glaucoma agents in the early postinjury period. But in long term surgical repair of iridodialysis if patient symptomatic and also filtration surgery (eg, trabeculectomy with antimetabolite therapy) if intraocular pressure uncontrolled medically.